Good morning and welcome to Sharing Saturday. This month, we’re going to be featuring fantasy books, both mine and those of other talented Solstice Publishing authors. 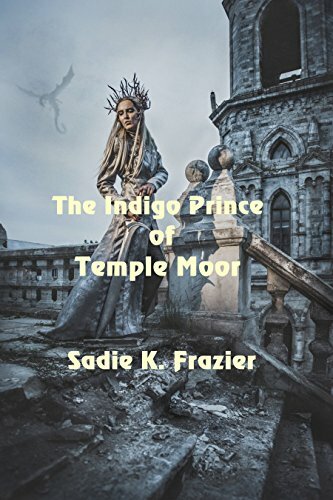 Today’s tale is from Sadie K. Frazier and her novel, The Indigo Prince of Temple Moor! A lonely Prince searching desperately for love, denied his rightful place on the throne because of one deadly secret now threatening to be exposed. A strangely enchanting woman wrestles with the demons of her past, her body brutally beaten, her soul broken and scarred by the abuse she endured under the malevolent reign of a King gone mad. A chance meeting, evoked by the fervent pleas of the Ancient Ones of Olde, would soon lead Asher and Annestasia to discover where their fates may have intertwined in the lives they were intended to live before they were placed upon this realm. Journey through a labyrinth of secret passages found within this kingdom, each choice made shifting and spiraling their future through one of the mystical portals to other dimensions. Their spirits had been broken, and their souls had been tested. In the end, all that remained when all of the scattered remnants of the life they once knew were strewn about the ground was their love. As the pendulum of power shifts within the forces of the Universe, a great change begins to take place, forcing those to choose which side they shall stand on as the light beings battle the supernatural beasts of darkness found within the Kingdom of Oculus. The hatred surging through their planet only stood to fuel the embers burning in the hearts and souls of those warriors of light. It was then, that they were rejuvenated. It is then, that their powers were reborn. It was then, that the weak, begin to rise. The whole world watched, and would soon follow their command, bringing about the Great Awakening at last. Sadie K. Frazier is a talented, multi-genre freelance writer and inspirational novelist. She is also the creative marketing director of The Crafted Quill Podcast. An emotionally charged, heartwarming love story titled Love, Sam. Check out her website to see more about this inspirational story of love, loss, and unyielding hope in the face of adversity. It is the legacy of a boy named Sam. Work in Progress: The captivating romantic drama and sequel to Love, Sam entitled "Saving Grace." Currently reeling with new ideas awaiting orders to take flight, is her 6th manuscript - Skye Morningside, Metaphysical Examiner: L.O.T.U.S. Project. Stay tuned! Her debut horror short story, The Chronicles of Travelstead: Coven of Ashwood Falls earned her 3rd place in the Preditor's and Editor's Poll for 2016. 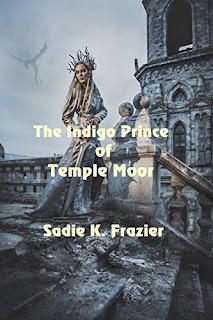 In the 2017 Preditor's and Editor's Poll, The Cusp of Magic, The Indigo Prince of Temple Moor, and Mount Crusiaris Asylum all placed within the top ten novels for their genre. She plans to move mountains this year while exploring every single crack and crevice of her mind, to see what magic she might encounter. She aspires to excel as an author whose words change lives. Her purpose is to spread her light to this broken world once again. It only takes one person to bring about change, and she believes that it begins with her! She is happily married to the love of her life who is also an aspiring published author. She has 5 beautiful kids and 2 grand-babies that she hopes will be inspired by what they are becoming. As you read her words, allow your mind to wander, to transport you to a place of magic and across the expanse of the universe; a place that knows no time or boundaries, where your soul may wander free, if you will just believe.